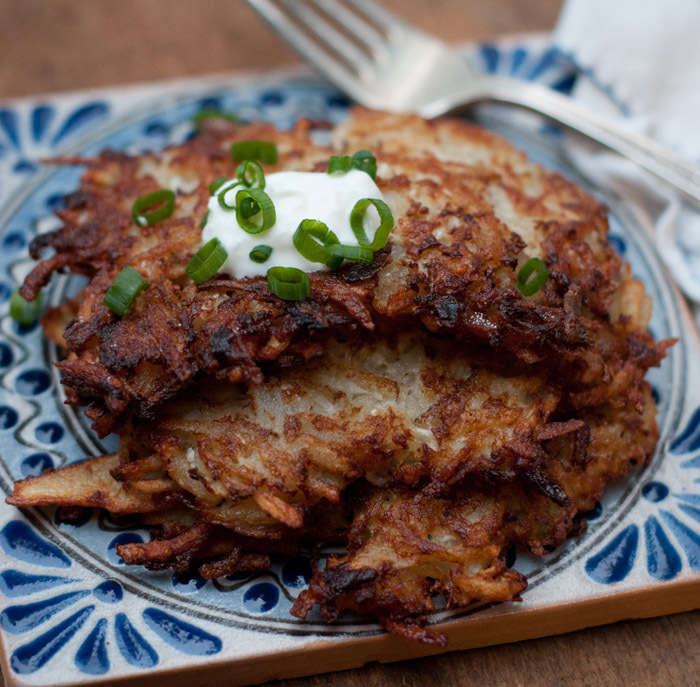 Latkes (potato pancakes) are traditionally eaten during Hanukkah which is this week. My recipe is made just a little lighter with the addition of cauliflower. I used the grater blade on my cuisinart and threw the potatoes, onions and cauliflower in (but you can finely chop/mince the cauliflower if you don’t have one). The recipe makes about 10-12 latkes- I just do a heaping spoonful of the mixture for each patty. Be sure to use Russett potatoes- they are less moist. Using a non stick pan makes things go more smoothly, and about 2-3 minutes on med-hi heat per side should do it! Happy Hanukkah, enjoy!